Though the tradition is to break the fast after the sunset with the dates and water or the apricot drink, followed by a soup like lentil and a salad like fattoush, the meal may be good dish. Given here are recipes to make your Ramadan dishes more delicious, yet without being too gorgeous. Even these dishes including the desserts fit well with the Eid-Day mood. 1. Rinse the pieces of fishes with garlic and salt. Then put the fish pieces on a burning saucepan on low heat and spray vinegar on them. Remove the moisture completely and keep it in a cool place away from the hot saucepan. 2. Mix well after adding all the spices including the fresh green chilies and coriander. 3. Separate the mixture into equal pieces (about 1820). 4. Make 1/2 inch thick flat round shapes. 3. 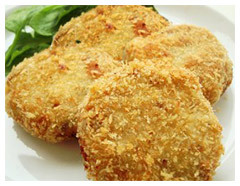 Plunge the fish kabobs first into the egg and then into the bread crumbs. 4. Fry it in hot oil. Drain it using kitchen paper towel. 1 cup of Mash daal. Add salt according to taste or add 1 teaspoon salt. Ground Red chili 1 tsp. 2-3 Green chilies for garnishing. Fry the onions until it gets brown, add 1 cup of water and cook it in medium heat. Crush onions while you are stirring. Keep on stirring it while you are adding the garlic and ginger, and now it’s time to add all the dry ingredients. 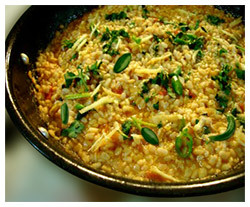 Add the daal and stir well, keep on stirring the mixture untill you observe the oil is separated from the daal. Add one cup of water, boil the water and then reduce it to lower flame to low and cover the saucepan with a lid. When you are done embellish the item with green chilies. Crush the garlic, caraway seeds, and tweak of salt in a mortar and grind it in the mixing bowl. Heat 1 tablespoon of the olive oil over medium heat, taken in a skillet. Stir it properly in the Chile peppers; Heat it and stir it for 5 minutes until the peppers are softened. Take the mixture away from the skillet and set it aside. Append an additional tablespoon of oil to the skillet and heat the bell peppers and tomatoes for 5 more minutes until the peppers are pliable and the tomatoes start to break down. Add the tomato-bell pepper mix to the hot peppers. Stir it properly in the mashed garlic and caraway seeds. Place the vegetables onto plates or a serving platter. Heat up rest of the oil in the skillet. Fry the eggs until the whites are set and the yolks are the desired consistency, about 2 to 3 minutes for runny yolks, 4 to 5 minutes for fully set yolks. 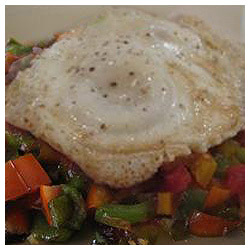 Put the fried eggs on the vegetable blend and taste it with salt and pepper. Heat a heavy skillet over low to medium heat. Stir it often, toast coriander seeds, sesame seeds, peppercorns and fennel seeds until it is slightly brown and aromatic, about 5 minutes. Before transferring it to food processor, keep it in a cool place. Put in almonds, cumin, thyme and salt. Grind until it gets crumbly but don’t allow the mixture to become a paste. 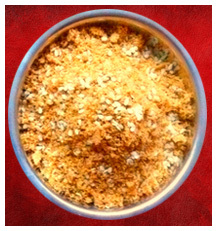 Serve Dukkah in a bowl or plate and keep a bowl or plate of olive oil and bread. Firstly plunge the bread in olive oil and then in Almond Dukkah. Serve as an appetizer and healthy snack. Mingle the milk, cream, ground almonds, confectioners' sugar, and rosewater in a food processor, and mix together for approximately 1 minute until it is thoroughly mixed and smooth. Serve it over ice. 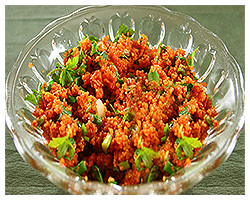 Keep the bulgur in a bowl and stir it in the boiling water. Cover the bowl with a lid and let it stand for 20 minutes. In the meantime, heat 2 tablespoons olive oil over medium heat in a skillet. Stir it with the chopped onion; cook it for 5 minutes and stir it until the onion is soft and turns lucid. Exhaust the bulgur and put it in the bowl. Add the cooked onion, chopped tomatoes, cucumber, green and red bell peppers, green onions, mint, red pepper flakes and parsley. Sparkle 2 tablespoons olive oil, the lemon juice, and the pomegranate molasses. Mix it gently until the salad is thoroughly combined. Keep it in a refrigerator until it is served. 2 Red bell peppers (seeded and cut into 2-inch pieces). Set the oven rack about 6 inches from the heat source and preheat the oven's broiler. Lightly grease a broiling pan. Combine together the lamb, garlic, chili peppers, onion, coriander, yogurt, turmeric, lemon juice, and salt with hands until they are very well mixed. Roll the mixture into 15 meatballs. Separate chunks of red bell pepper and thread three meatballs onto each skewer. Position them onto the baking pan. Boil for 5 minutes before turning the skewers over. Prolong the boiling for approximately 5 minutes until no longer it is pink in the center. Chopped fresh parsley (1/4 cup). Wash the garbanzos and soybeans properly. 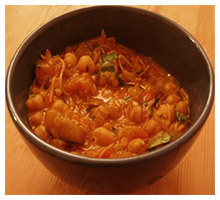 Put garbanzos and soybeans in a pressure cooker along with the bay leaf and onion. Add vegetable broth and sufficient water to cover the beans by 1 inch (check once the manufacturer's instructions for the minimum requisite amount of liquid). Cover the saucepan with the lid and bring the pressure up to high. Then reduce the heat to the lower level and cook for 1 hour, maintaining high pressure. Allow the pressure to go down naturally. Drain the beans but reserve the liquid. Put the beans in a food processor. 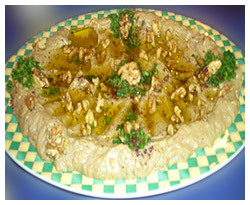 Mingle the garlic, lemon juice, soy sauce, black pepper, and tahini and process the mixture until it is smooth. 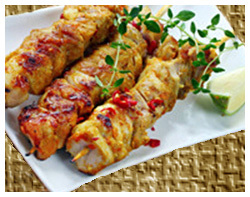 You may also include some of the cooking liquid for a thinner consistency according to your need. Mix it in the parsley after scooping the combination into a bowl. Lightly grease a baking sheet after preheating the oven to 400 degrees F (200 degrees C). Put the eggplant on the boiling sheet, and use a fork to make holes in the skin. Heat it for 30 to 40 minutes, until it is soft. Place it into a large bowl of cold water after removing it from the oven. Drain it and unwrap the skin. 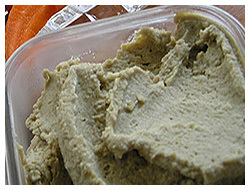 Put the eggplant, lemon juice, tahini, sesame seeds, and garlic in an electric mixer, and puree. Relocate the eggplant mixture to a bowl, and mix olive oil into the mixture slowly. Keep the mixture in a refrigerator for 3 hours before serving it. 1 package phyllo dough (1 package= 16 ounce). Boil lightly salted water in a saucepan. Stir the water with potatoes and peas. Cook for about 15 minutes until the potatoes are tender enough but still firm. Drain the mixture, mash it together and set aside. Use a saucepan to heat the oil in a medium to high temperature. Simmer the cumin seeds and bay leaf until it gets brown. Blend the onions and ground beef with the preparation. Cook approximately for 5 minutes until the beef is evenly brown and onions are pliable and mix in garlic, fresh ginger root. Mollify the mixture with black pepper, salt, cumin, coriander, turmeric, chili powder, cinnamon and cardamom. Whip in the mashed potato mixture. 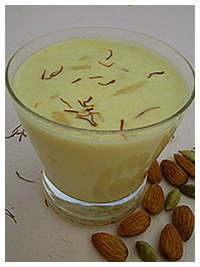 Take the mixture away from the heat and keep it in a refrigerator for 1 hour. Take oil in a large saucepan and heat it in a high temperature. Mix up cilantro and green chile peppers into the mixture of potato and beef. Put roughly 1 tablespoon of the mixture onto each phyllo sheet. Fold the sheets into triangles, pressing the edges of the triangles together with moistened fingers. Fry it approximately for 3 minutes until it is golden brown. Drain on paper towels and serve the item.